Native to south-central Asia. Introduced, widely cultivated, and widely naturalized. This is an erect, annual forb that rises from a long, branched taproot. It can be 8″ to 108″ tall, but is usually 48″ to 72″ in height. The stems are erect, light green, stiff, angled, and unbranched or little branched. New stem growth is more or less hairy with appressed, ascending hairs, becoming hairless as it matures. Lower and middle stem leaves are opposite, upper leaves are usually alternate. They are on ¾″ to 2¾″ long leaf stalks. They are palmately divided into usually 5, 7, or 9, sometimes 3 or 11 leaflets. The leaflets are linear to narrowly lance-shaped, 13 ⁄16″ to 5⅞″ long, ⅛″ to ¾″ wide, tapered at the base, and tapered to a sharp point at the tip. The upper surface is dark green and is sparsely covered with bulbous-based hairs. The lower surface is pale or whitish green and is moderately to densely covered with appressed hairs and scattered, yellowish-brown, resinous gland dots. The margins are coarsely and sharply toothed. Staminate (male) and pistillate (female) flowers are borne on separate plants. 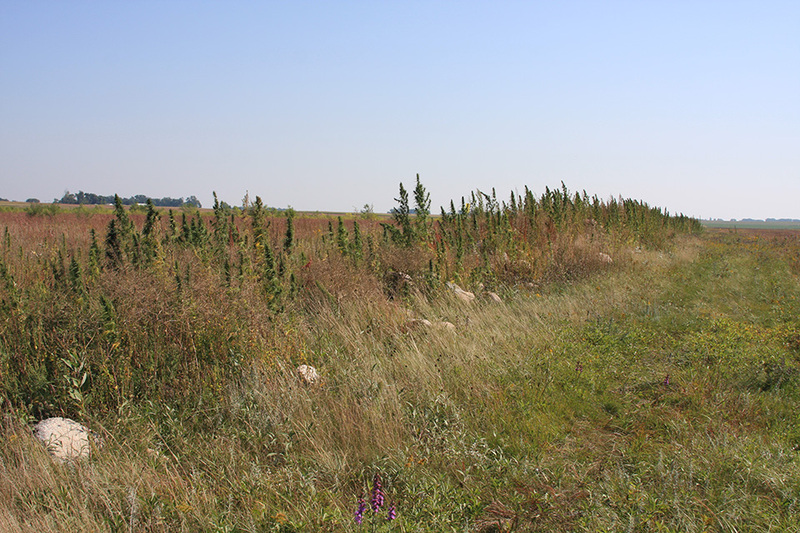 Staminate plants tend to be taller, less robust, and die soon after flowering. Pistillate are much leafier and persist until late fall. The male inflorescence is short, branched clusters (panicles) at the end of the stem and rising from the upper leaf axils. The panicles have small clusters of flowers on nearly leafless branches. The male flower is about ⅛″ across. It has 5 lance- to egg-shaped sepals, 5 stamens with large anthers, and no petals. 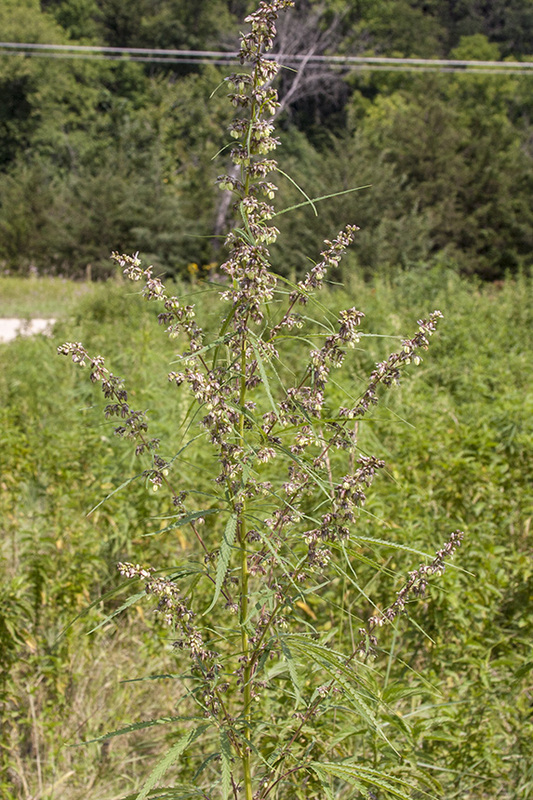 The female inflorescence is small clusters of flowers on short, leafy spikes rising from the upper leaf axils. The female flower is about ⅛″ long. It has a single stamen, a branched style, and no petals. The fruit is a 1 ⁄16″ in diameter, nearly spherical achene. It is yellow to greenish brown and is mottled with purple. 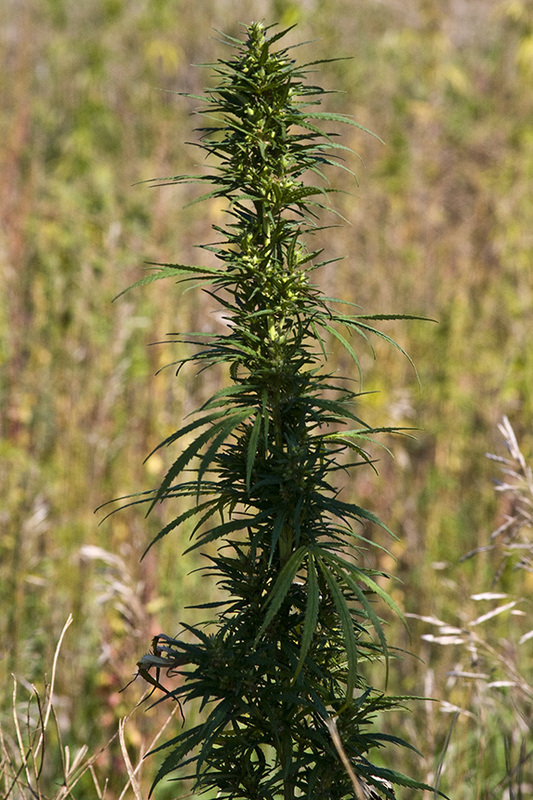 There are two subspecies of Canabis sativa; ssp. indica and ssp. sativa. 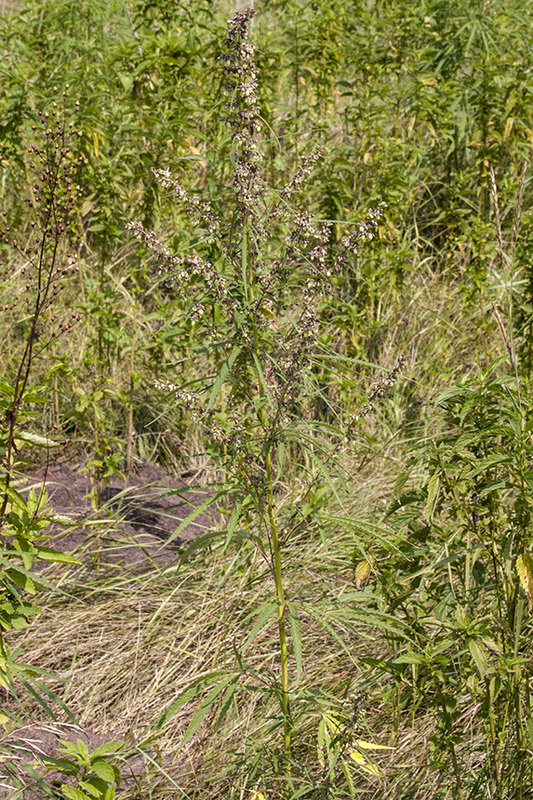 Canabis indica is an invalid synonym of Canabis sativa ssp. indica. 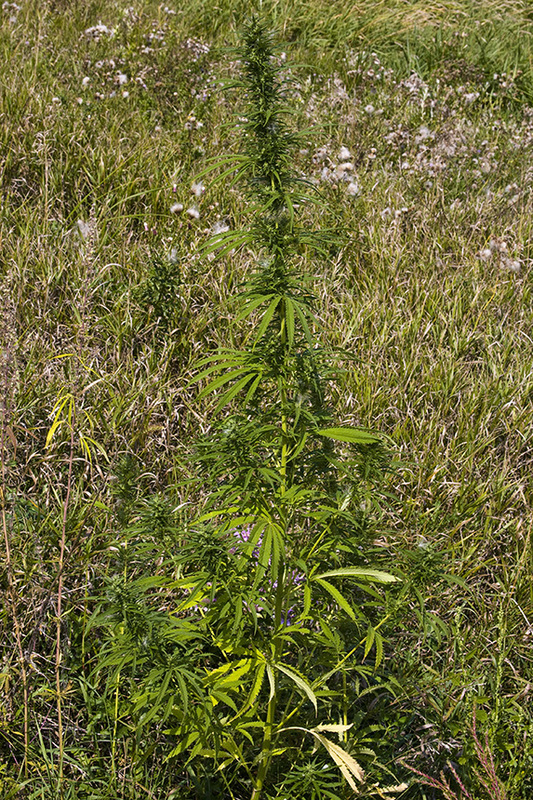 There are two varieties of Canabis sativa ssp. sativa; var. sativa and var. spontanea. A variety of a subspecies is referred to by dropping the subspecies from the name. Thus, Canabis sativa ssp. sativa var. 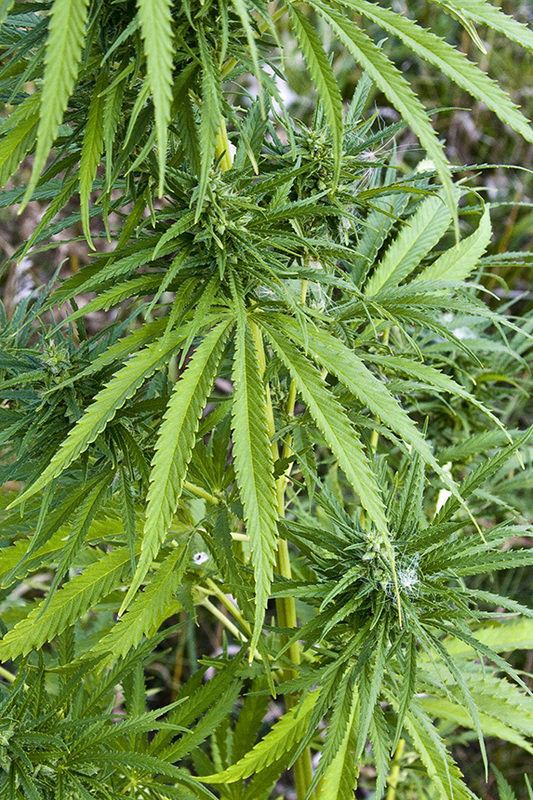 sativa is referred to as Canabis sativa var. sativa. 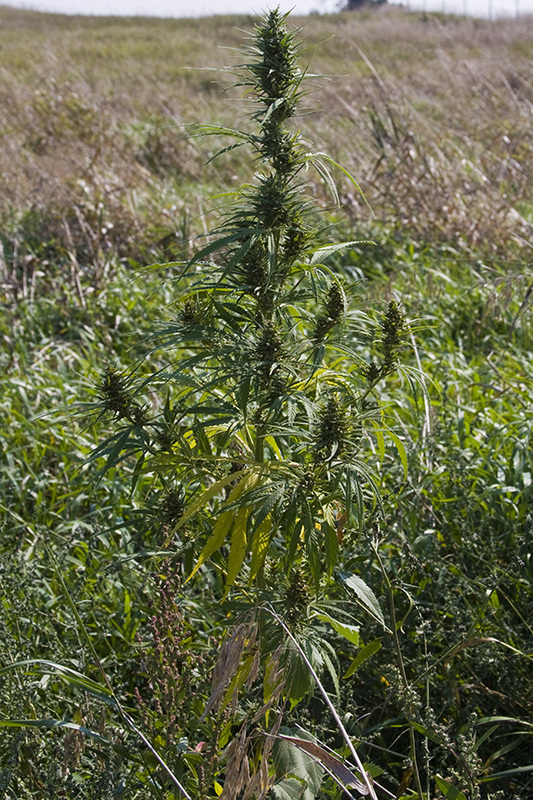 Both subspecies have been widely cultivated; Cannabis sativa ssp. sativa for its greater psychoactive effects, and Cannabis sativa ssp. indica for its sedative effects. 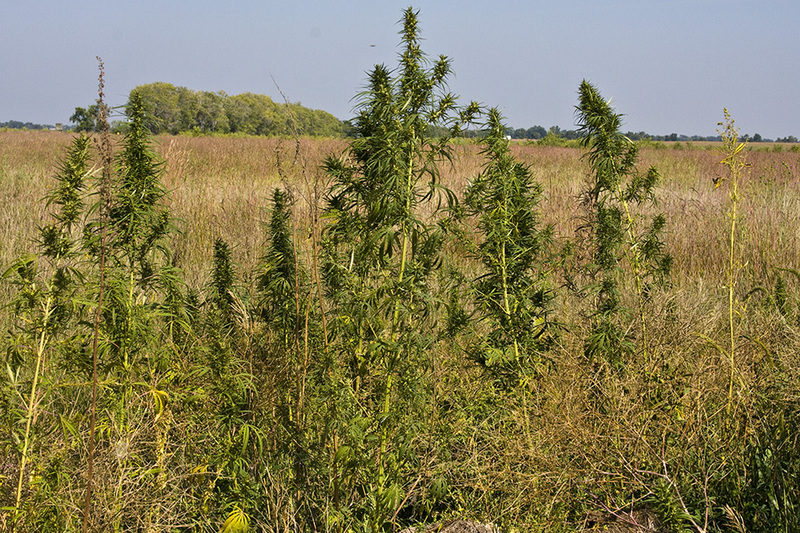 Some authorities recognize three Cannabis species; Cannabis sativa (Cannabis sativa var. 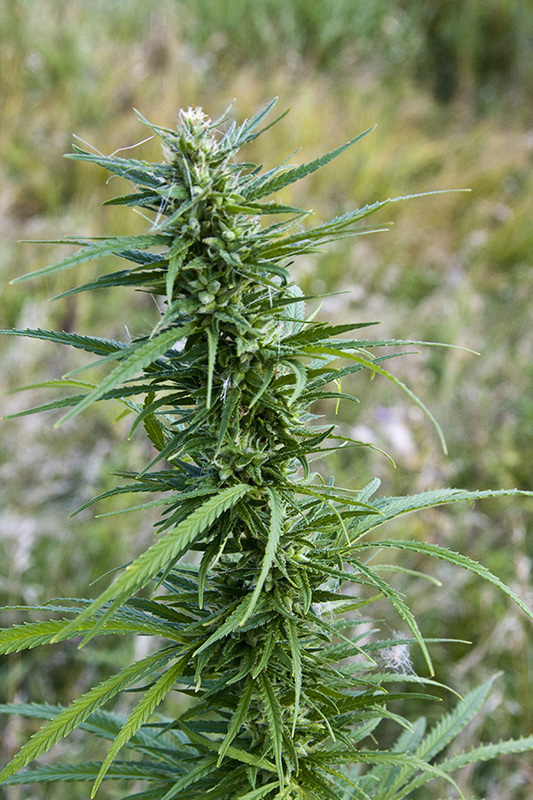 sativa), Cannabis indica (Cannabis sativa ssp. 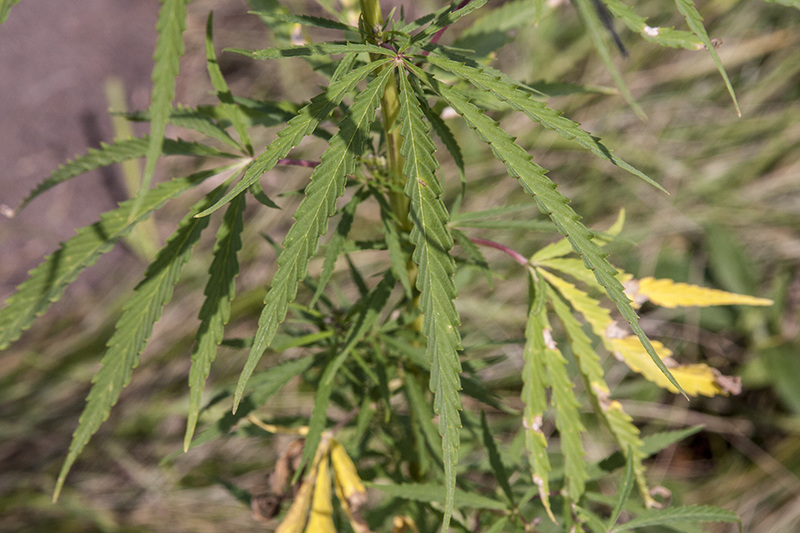 indica), and Cannabis rudderale (Canabis sativa var. spontanea).